Our first step toward fortifying a relationship within the communities we serve is to provide essential and important services. We also believe in doing more than that by giving back to the communities where our employees live and work. As we work through a more formalized approach toward community giving, updates and information for various funding opportunities will be posted to our corporate website. 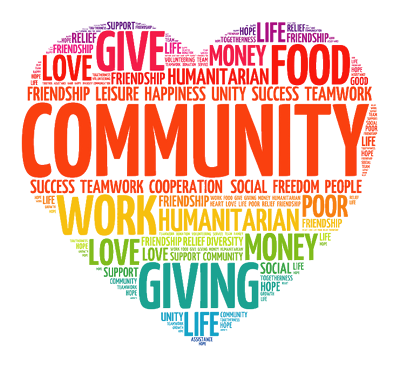 AP&T provides community support through a Charitable Contributions Fund. AP&T supports individuals, teams and events through sponsorships and employee volunteers by simply coordinating with our local offices individually. AP&T supports nonprofits that provide support and solutions for individuals in recovery or individuals who wish to pursue sobriety. AP&T also supports nonprofit cancer groups as well as veteran and children’s organizations. AP&T supports nonprofit organizations that promote and provide educational opportunities and activities for students. AP&T supports nonprofits that provide support to the homeless and hungry. AP&T supports nonprofit organizations that promote or benefit the arts and culture of the communities in which we operate. AP&T supports organizations that provide emergency services and disaster relief. How does the Charitable Contributions Fund work? When planning for your request, please take the time to review the focus areas listed above and whether AP&T has operations in the area to ensure your application will be eligible and note that qualification to apply for funding does not guarantee funding support. Application Intake Periods: The application intake periods designated for 2019 are from February 1 to May 31 and from July 1 to October 31.
Review Period: The review periods typically last for one month following the completion of an intake period. Funding Decisions: All applicants will be notified via email within approximately four weeks after the intake period ends. To be eligible for charitable giving support, an organization must compose a formal proposal and address a specific community need and in most cases, receive tax exempt 501(c)(3) status from the Internal Revenue Service. Brief description of the organization (name, history, mission, activities). Why the funds are needed. Types of publicity and recognition for AP&T’s support. Organization main point of contact. Requests from communities directly served by AP&T are limited to $5,000.00. In communities where AP&T has full-time staff resources, however AP&T does not provide services, requests are limited to $500.00. Once you have composed a formal proposal with all the required information, please email the single PDF file to contributions@aptalaska.com. All charitable contribution requests will be evaluated based on AP&T’s approved budget, proposal specifics being met, proposal objectives and overall benefit to the community. Individual or Team Sponsorships, Promotional Partnerships and In-Kind services (ie:, event broadband, WI-FI, event banner installation, etc). Please Contact Us through your local office to discuss this type of giving.